Check out how we use Pinterest to inspire and educate! Pinterest is a social media network that grows extremely popular daily. 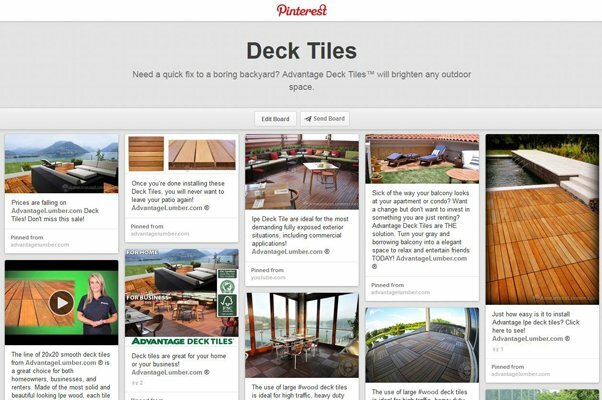 The bulk of Pinterest content are images that range from recipes and crafts, to inspirational quotes and design. With 70 – 80 % of the users being female and the ages of 25 to 34, this is a great, FREE way to promote your services to a new audience. The users on Pinterest are also 70% more likely to spend more money than users referred from other networks. So, before you start your marketing campaign with Pinterest, make sure you follow these great tips to get the most out of this free marketing! This entry was posted in Deck Builder Digest on December 10, 2013 by Mr. Ipe Hardwood. Deck Builder Digest: How Hardscaping Can Help Your Business Grow! 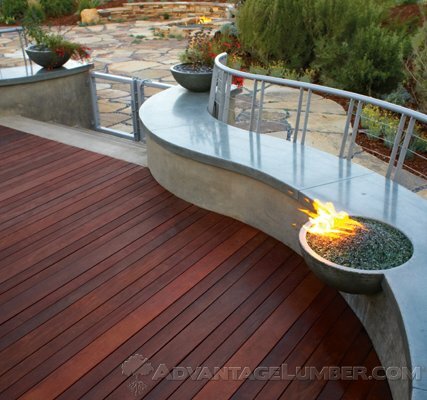 Adding a fireplace to a deck can make the difference between and OK experience and an incredible one. When working on a deck project, you always offer add-ons such as shade structures, planter boxes and benches, but have you considered including hardscaping? Most homeowners envision fire pits, pavers, walkways, etc. in their dream backyard because those materials help unify the deck with the outdoors. This entry was posted in Deck Builder Digest on December 3, 2013 by Mr. Ipe Hardwood. Deck Builder Digest: What to Expect with Large Deck Projects! Massive commercial projects such as the Secrets Resort in Jamaica can be a challenge. What is Better For Business, Large Deck Projects or Small? If you want to have a business that flourishes, offering specialized services that your competitors cannot offer is key. So, if you’re a contractor who specializes in deck building, remember there is less competition when bidding on large projects than small ones. If you settle for bidding on smaller projects, not only will you be faced with the challenges of setting yourself apart, you will also have A LOT more headaches. You will have to juggle multiple projects at once, pull permits, generate HOA letters and material takeoffs, order dumpsters and portable toilets for each job. If you are doing fifty small jobs a year, this is a process that seems never ending! 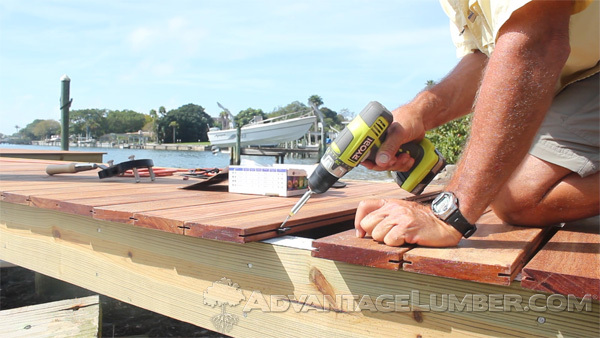 This entry was posted in Deck Builder Digest on November 26, 2013 by Mr. Ipe Hardwood. Deck Builder Digest: Make More Money with Landscaping Added to Your Services! 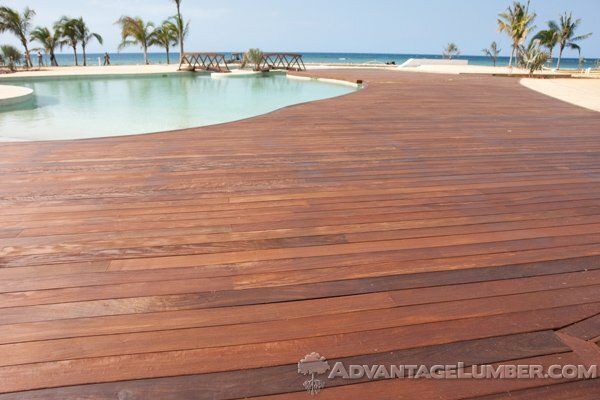 This entry was posted in Deck Builder Digest on November 19, 2013 by Mr. Ipe Hardwood. This entry was posted in Deck Builder Digest on November 8, 2013 by Mr. Ipe Hardwood.